creaffective consists of an international team from Germany and China. Our core team is based in Munich. Daniel Barth studied Chinese and Japanese studies at the University of Munich and the Capital Normal University in Beijing. After graduation he worked first in the academic field and then in the start-up-buiness. Also, he completed the APE program at the Strascheg Center for Entrepreneurship in Munich, a one year education program on user centered innovation and entrepreneurship. He continually receives training on creative and innovative methods at different academic institutions. For creaffective, he is active as a trainer, facilitator and consultant. Daniel Barth lives in Munich. Dao-Wen Chang studied statistics at the Institute of Applied Mathematics at the National Sun Yat-Sen University in Kaohsiung, Taiwan. She also holds a master’s degree in Creativity Studies in Buffalo, USA. 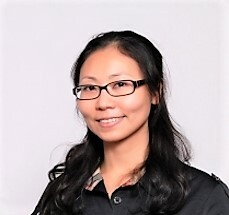 Her emphasis is on the Asian cultural sphere, where she supports clients with trainings and workshop facilitation in order to boost innovative strength. Dao-Wen Chang lives in Shanghai. 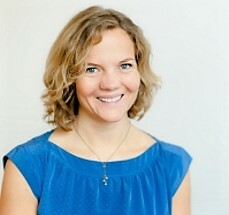 Nadine Krauß is trained as a fully qualified lawyer. 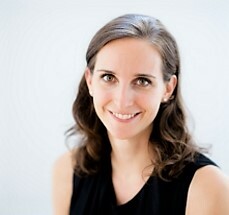 She studied law at the Ludwig Maximilian University of Munich and Università degli Studi di Ferrara (Italy) and completed her traineeship in Germany and the USA. After gaining experience as a freelance journalist, she worked as a PR consultant at an international communications agency (2014-2016). There, she supervised the Public Relations of global IT companies. Since 2014 she also organized and facilitated events of a non-profit organization for brainstormings and creative methods. As team member of creaffective she contributes many skills – she supports the team as a trainer, facilitator, innovation coach and blogger. Nadine lives in Munich. Isabela Plambeck studied technical engineering in industrial design at the Polytechnical University of Valencia, Spain. Between 2011 and 2013 she worked as a concept designer in an international company, where she developed interactive, digital media installations in close cooperation with cliends and stakeholders. With her understanding of design methods, moderation and conceptual skill she is active as a trainer, workshop facilitator and Innovation Coach. Isabela Plambeck lives in Munich. 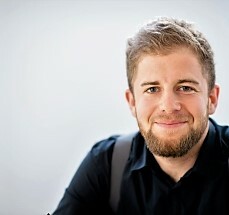 Florian Rustler is the founder of creaffective. He studied political science, Chinese studies and psychology in Munich and Taipei. Furthermore he holds a master’s degree in Creativity Studies from the International Center for Studies in Creativity in Buffalo, USA. He is expert for systematic creativity, an author and columnist and he is active world wide as a trainer, facilitator, consultant and Innovation Coach. Florian Rustler lives in Munich. 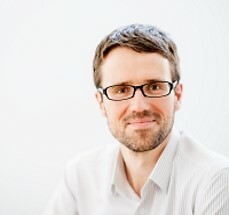 Jens Springmann studied business administration at the University of Cooperative Education in Ravensburg and worked in product development for various media companies. In recent years, he has been intensively trained in the areas of training, moderation and systemic team coaching. 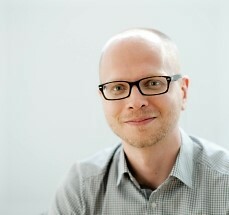 At creaffective Jens Springmann is a workshop moderator and trainer for Design Thinking. As an innovation coach, he advises project managers on the planning of innovation projects and supports teams in the development of new products and services. Jens Springmann is also a freelance lecturer. He lives in Munich.